Your recipes are easy to follow. I have the confidence that I will have the same results as yours. That makes me happy, so I spend even more time in my kitchen now(my kitchen wants to thank you too.) Unlike another blogger in New Zealand, her photos always looked pretty but I failed 3 times following 3 different recipes. @_@ There was one evening I failed again and almost had nothing to put on the table…you know how embarrassing it could be….sorry, honey, give me another 30 min to make something else…. L I was sad for the waste and never wanted to see her blog again. I think it’s hard to be a good cook, but wanting, willing and ABLE to teach others to make great dishes is even more difficult. Sighs, I admire you!! *. * My husband is your fan too. He asked me to tell you that you saved our marriage….he was kidding, of course. Hum, you probably think I talk a lot. Yes, as a consultant, I do talk a lot. 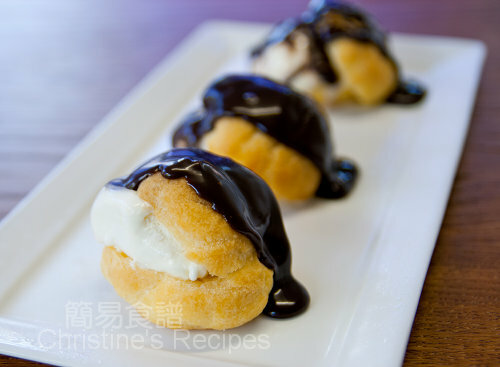 I decided to leave you a message today because I see you posted a new recipe for ice cream puff. 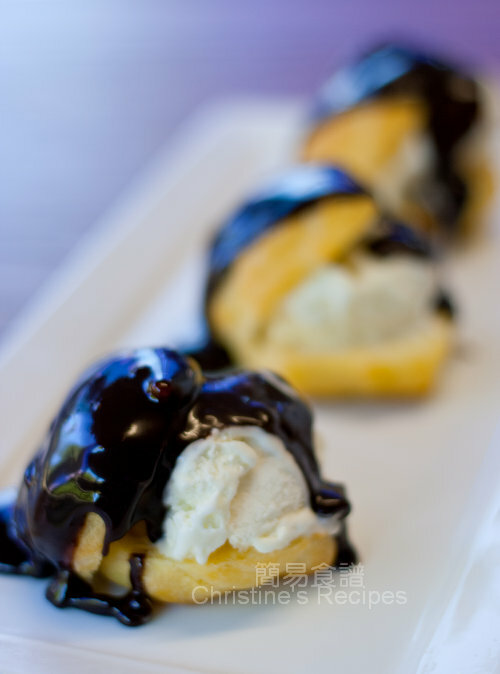 OMG, that is to die for. I don’t mind to have 3 puffs now then go on to my treadmill to run for an hour. 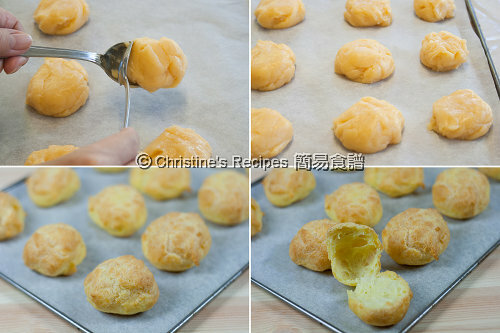 I love cream puffs but thought they were difficult to make. Will follow your recipe carefully. The only recipes of yours that I was disappointed was 海南雞飯. It was plain…maybe I should rub more salt on the skin?! Most importantly, how come the rice could not be cooked through once I added the chicken stock?! I tried to add even more chicken stock, but that did not help. The rice was lack of spirit and did not stick together at all. We ended up skipping the rice and tried to enjoy the chicken. Maybe my Japanese rice cooker did not like anything but water?! It cooks good rice for me. Let me know if you have a solution for me. Thanks a lot! 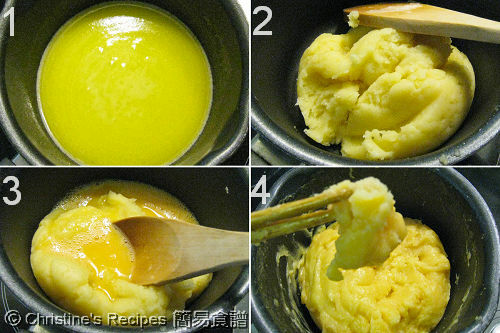 As for the 海南雞飯, the rice is cooked in the way as usual, just replace the water with the chicken stock. It's so weird if the rice couldn't be cooked through in a rice cooker. Hmmm... Could it be the built-in programme? Just a guess. Mine is also a Japanese rice cooker - Panasonic. It never fails me. When you added more chicken stock, would the rice become too soggy? If you cook 海南雞飯 next time and the rice is not cooked through in your rice cooker again, I suggest you turn the rice in a steamer or use a wok to steam the rice instead of adding more stock. You can fully control the heat and cooking time so that your rice should be cooked through without any problem. how many pcs can be made according to your recipe ? Thanks.